Aorus has launched what it calls the world's thinnest and lightest GTX SLI gaming laptop, or in short, the X7. This gaming laptop contains impressive PC gaming hardware including an Intel 4th generation Core i7 processor and Nvidia GeForce GTX 765M GDDR5 4GB dual graphics within its 22.9mm thick aluminium chassis. 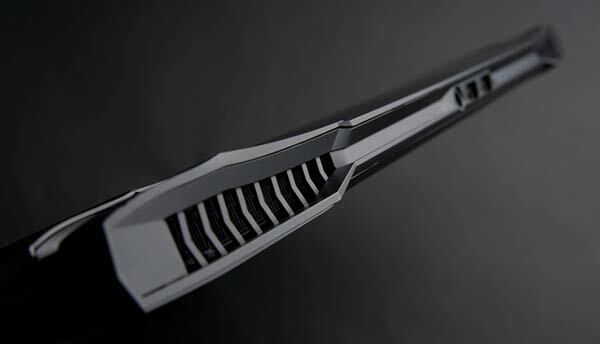 The design of this new gaming notebook is described as "astonishing yet understated," and delivers what is said to be sensational performance combined with unparalleled portability. Aorus says that the Nvidia GeForce GTX 765M GDDR5 4GB dual graphics provide performance on a par with computers utilising the GTX 780M but in a chassis of a third of the height and two thirds the weight of "any available top-tier gaming laptop," packing that GPU. This GPU configuration working alongside the X7's Haswell Core i7 processor helps propel this laptop to achieve a score of P7393 in 3DMark 11. To keep the powerful components running cool in such a confined space Aorus uses its "exclusive Thermal+ technology," which furnishes the laptop chassis innards with five thermal Pipes and two fans and a total of four rear and side vents which are nicely integrated into the aggressive design styling. Also this cooling solution keeps the heat away from the users' wrists and hands while operating the computer. The Aorus X7 also features some other gaming niceties to complement the processing power within. 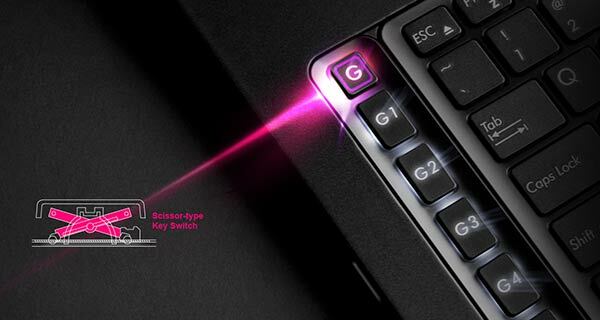 Looking at the keyboard; it includes macro keys as standard with a crisp touch and anti-ghosting on offer from the scissor-switches. The networking component uses a Killer LAN chip to ensure "100% packet transmission even under busy network traffic". Also the X7 utilises 802.11ac networking where you can't find an Ethernet wire to plug in. Also the Aorus X7 includes 3D Vision Surround technology so you can plug in up to three external displays for an expanded vision on your gaming world. In case any of you were wondering about 'Aorus', it is a gaming brand owned by Gigabyte which is said to operate separately and independently of its parent company. You know what, for the right pricing options, I could see myself buying one of these. Not a fan of the styling. I'm over the whole “l33t gamer” designs such as Alienware etc. I want something minimalistic and sleek like todays Ultrabooks but with the power to play some games on the move. It's still going to be a lot thicker than an ultrabook, considering the hardware it's not that bad. Is still winning for me but doesn't tick all the boxes to make me take the plunge.